Global stock markets started the first week of 2016 badly. Then Friday provided reminders that although the economic outlook may be murky, it’s not as universally bad as the appetite of gorging bears suggests. U.S. employment finished 2015 strongly. 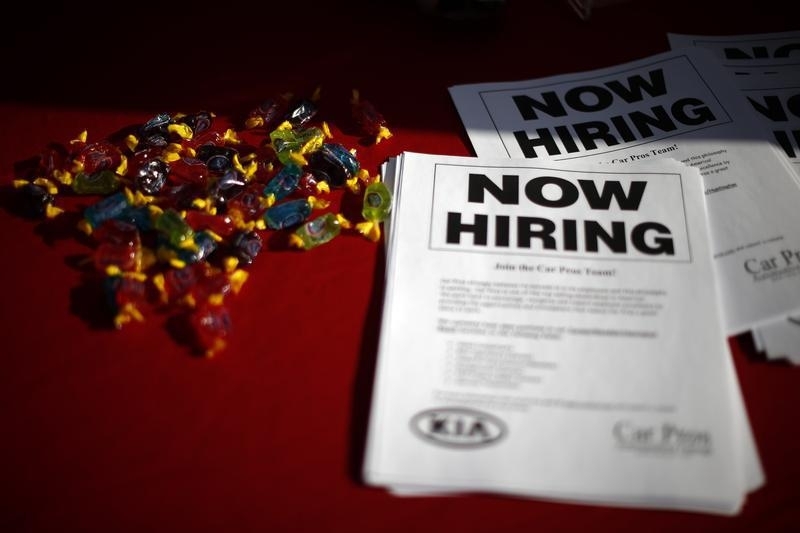 The economy added 292,000 new jobs, against expectations of 200,000, the Bureau of Labor Statistics reported. That supports the Federal Reserve’s planned gradual interest-rate increases, after the central bank led by Janet Yellen in December ended seven years of near-zero rates. The news also helped U.S. stock markets open higher after four days of turmoil got them off to the worst start to a year on record. Rot already had stopped elsewhere, notably in China, where major indexes closed up 2 percent. A New Year selloff in Chinese shares was exacerbated, according to some observers, by circuit-breaker mechanisms that halted trading on previous days. Beijing ditched them for Friday, as well as shoring up the yuan. One conclusion to draw is that prospects aren’t entirely negative. The U.S. economy continues to trudge higher, growing at an unspectacular pace but steadily enough to create jobs and, eventually, push up wages and prices in general. That’s the basis of the Fed’s thesis. Then there’s China. The country’s economic expansion is slowing, but it’s still set to be the largest contributor to world output growth this year. The United States, even with sub-3 percent growth, is the other big one. The respective stock markets won’t necessarily track GDP. There are too many other moving parts. Even so, it’s no surprise the headline-grabbing slump in equities that began the year didn’t last. The array of economic factors, monetary policy uncertainties and geopolitical tensions facing the world make swings in sentiment – and in share prices the world over – a more convincing prognosis for 2016 than steady downward or upward market trends. U.S. nonfarm payroll employment rose by 292,000 in December, the Bureau of Labor Statistics reported on Jan. 8, outstripping expectations of 200,000 new jobs. The unemployment rate was unchanged at 5 percent. Employment gains in October and November were also revised upward. Average hourly earnings for U.S. private nonfarm employees, at $25.24 in December, were similar to November’s level and up 2.5 percent from a year earlier. China’s major stock indexes regained some ground on Jan. 8 after Beijing ditched a circuit-breaker mechanism that halted trading twice this week and had been blamed for exacerbating the market selloffs it was designed to limit. The CSI300 index and the Shanghai Composite Index both closed up 2 percent on Jan. 8. The People’s Bank of China also raised its guidance rate for the yuan for the first time in nine trading days, having allowed the Chinese currency’s biggest fall in five months on Jan. 7.